We are one of the top most manufacturers and suppliers of an extensive array of Wire Mesh which is acclaimed worldwide for its unmatched quality and unsurpassable performance. These are fabricated with optimum quality raw materials that ensure elevated durability, tensile strength and resistivity to adverse conditions. Moreover, the offered products have been examined under different parameters before dispatch. They are accessible at highly competitive prices for our valuable customers. 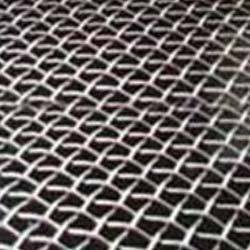 Backed by vast understanding and knowledge of the industry, we are engaged in manufacturing, exporting and supplying Fencing Wires and Wire Meshes, such as Barbed Wires, Chainlink Fencing, Concertina Wires, Welded Mesh, Wire Mesh, Vibrating Screen, Vibrating Screens, Wires, Perforated Sheets, Poultry Net, Expanded Metal, Wire Nails and Gabion Mesh. Fabricated at our high-tech manufacturing unit, these are manufactured using superior quality raw material that is sourced from the most reliable vendors of the industry. Solid finish, outstanding durability, robustness and light weight are some of the features of the offered range. We conduct rigorous tests for our products on certain parameters at our quality checking unit to ensure their corrosion resistance, high performance and robust construction. Apart from our standard products, we can also customize these products in order to meet the client’s specific requirements. With a team of highly skilled professionals, we manufacture these products with the high level of precision using advanced engineering concepts. Further, we practice fair business dealings that assist us in attaining utmost client satisfaction.